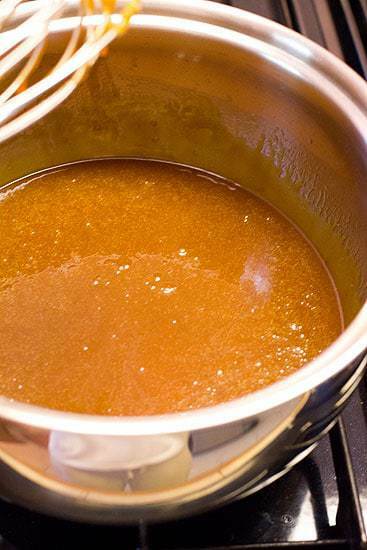 Is there anything better than salted caramel right now? It has become the coolest thing around. 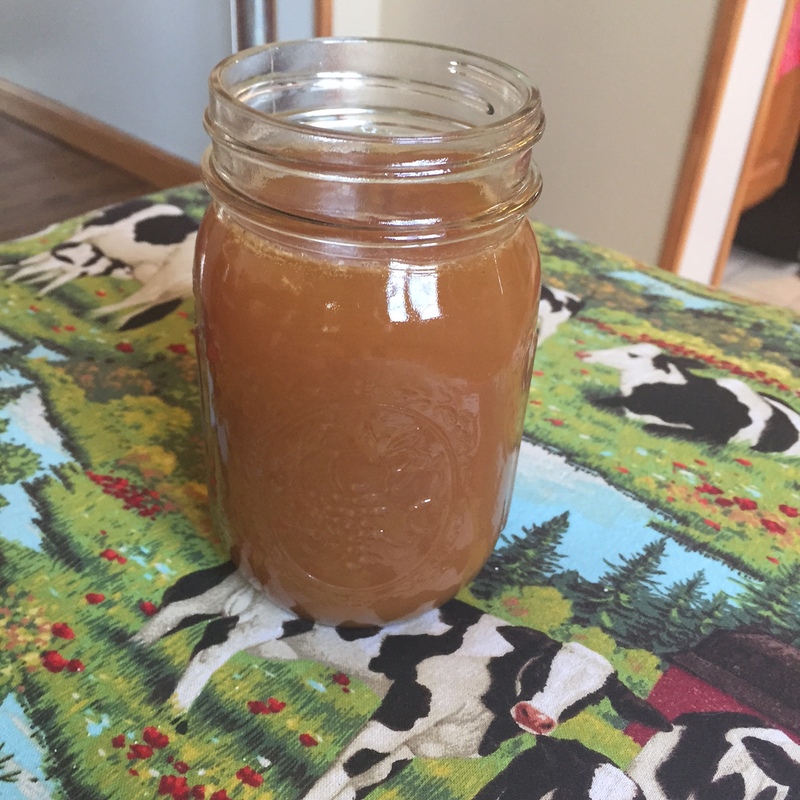 This sauce goes perfectly with lots of things. Think: brownies, ice cream, cakes, etc, etc, etc. You also need this recipe to make my Chocolate Salted Caramel Cupcakes. So let’s get into it shall we? Now that we have the basic tips let’s begin. 1. 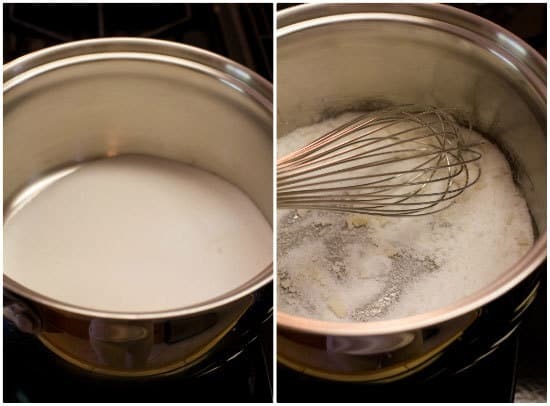 Add the sugar in an even layer over the bottom of a heavy saucepan, with a capacity of at least 2 or 3 quarts. Heat the sugar over medium-high heat, whisking it as it begins to melt. You’ll see that the sugar will begin to form clumps, but that’s okay. 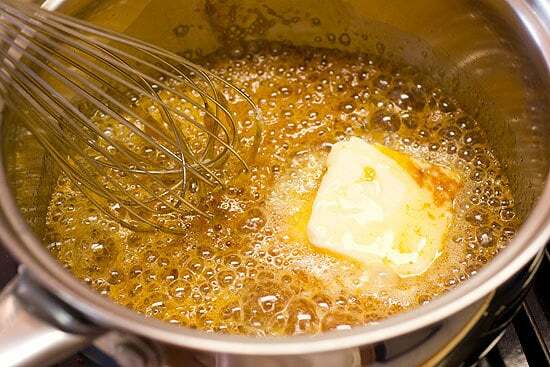 Just keep whisking and as it continues to cook, they will melt back down. 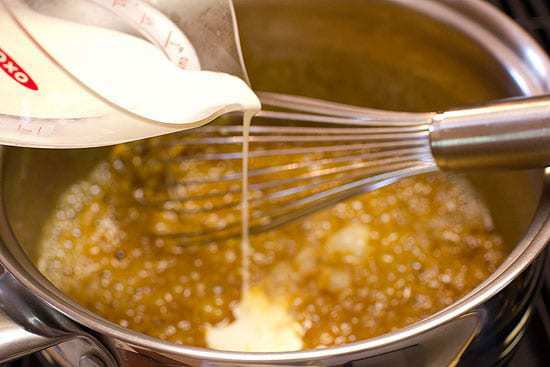 Whisk until all of the cream has been incorporated and you have a smooth sauce. Add the fleur de sel and whisk to incorporate.